IN PRETTY much the same way plenty of my pals like to shout instructions at Liverpool players even though they’re no good at the game themselves, I’m guilty of being that guy who reviews car shows even though I’ve never actually organised one. It’s that time of year when every stately home, village green, municipal park and playing field seems to host its own car show. Thanks partly to my day job and partly due to being a glutton for punishment, I’ve spent pretty much every weekend, for as long as I can remember, wandering around them. Yet the only constant – apart from them featuring displays of cars, obviously – is the incredible amount of effort the organisers put into getting them off the ground. Passing comment on where they could do better is a bit like you telling Roy Hodgson how he could have got England’s boys to have done better in Brazil, surely? But when you spend every single weekend wandering around classic car shows (and last year, a bit embarrassingly, I ended up at more than 40 of them) you soon get an idea of what works and what doesn’t. You end up wondering how the rather obvious opportunity for a striking car display right in front of the stately home somehow got missed, why all the ropey cheeseburgers from the mobile catering vans always seem to cost £5.50, and whether the people in charge forgot to invite anyone other than Austin Cambridge and Morris Minor owners. That’s why I found it so refreshing to wander around what I reckon was the perfect car event. 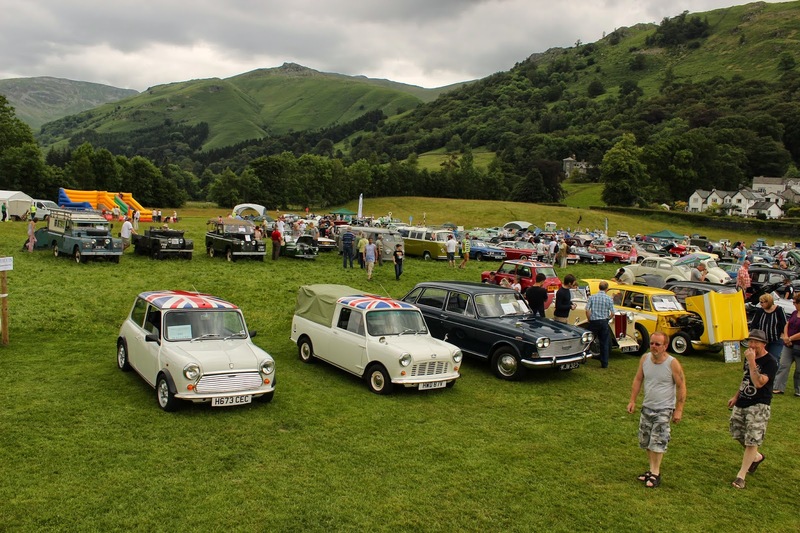 Ladies and gentlemen, I give you the Lakes Charity Classic Car Show, held last weekend on a playing field in Grasmere. I’ll skip past the postcard-perfect Lake District venue – if Wordsworth did car shows, this is what they’d look like – because just about everything else about the show was spot on. Every single car, bike and tractor, with the notable exception of a few last-minute entries, was carefully catalogued in a programme that didn’t cost a million pounds to buy, and what you did have to pay went straight to charity. The organisers couldn’t have been more helpful, the grub was sensibly priced, hastily-arranged ‘entertainment’ from long-forgotten rock bands was pleasingly absent and there was a great, friendly atmosphere. 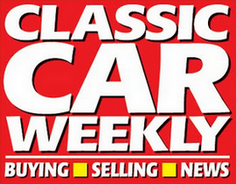 Most importantly, however, they’d got the most important bit – the cars – right too. It was utterly refreshing to be able to check out some intriguingly and fantastically rare old cars, like one chap’s 1952 Marauder Sports, before wandering all of ten yards and debating whether the Ford Probe is old enough to considered a classic yet. Getting a car show just right is a tricky old thing to do and I reckon the closest thing we’ve got on our doorstep is the (equally charity-orientated) Lydiate Classic Car Show. Roll on Sunday!